From number one bestseller, Val McDermid comes an atmospheric, spine-chilling tour de force — her richest and most accomplished psychological thriller to date. 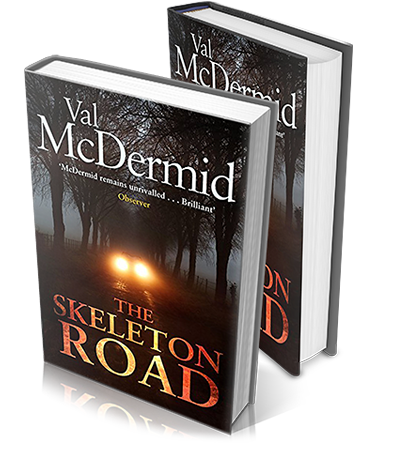 When a skeleton is discovered hidden at the top of a crumbling, gothic building in Edinburgh, Detective Chief Inspector Karen Pirie is faced with the unenviable task of identifying the bones. As Karen’s investigation gathers momentum, she is drawn deeper into a dark world of intrigue and betrayal. Meanwhile, someone is taking the law into their own hands in the name of justice and revenge — but when present resentment collides with secrets of the past, the truth is more shocking than anyone could have imagined . . .
McDermid’s ability to wrong foot the reader remains second to none: highly recommended. A McDermid standalone is always an event to cherish because you don’t know who you’ll meet or where you’ll be taken. …the strands come together and lead to an eye-blinkingly effective climax. (an) intelligent and hypnotically readable thriller…entertaining and thought provoking… Roll on next autumn. An efficiently crafted psychological thriller with an ending that knocks you sideways. 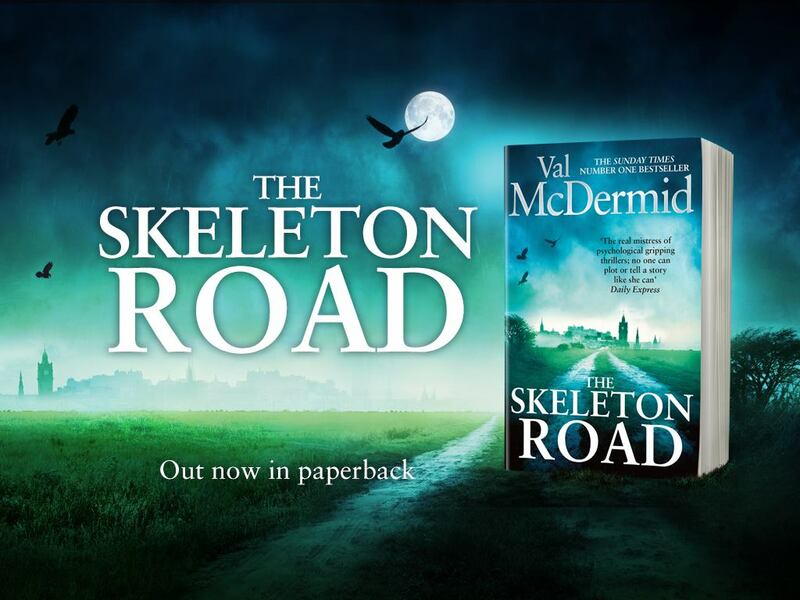 Val McDermid, the Queen of the psychological thriller tells us about her latest chilling novel, The Skeleton Road.